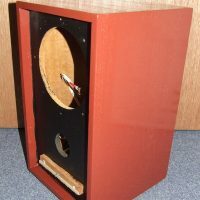 A 1970’s HMV bookshelf speaker restoration project. 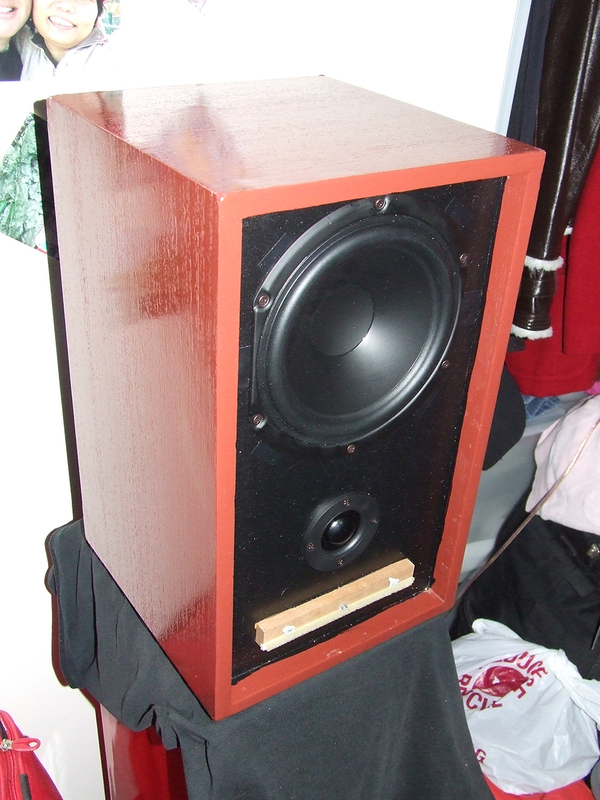 I picked up a solid old pair of 1970’s HMV bookshelf speakers for a cheap price at an op shop and the goal was to cosmetically restore the boxes and upgrade the drivers. 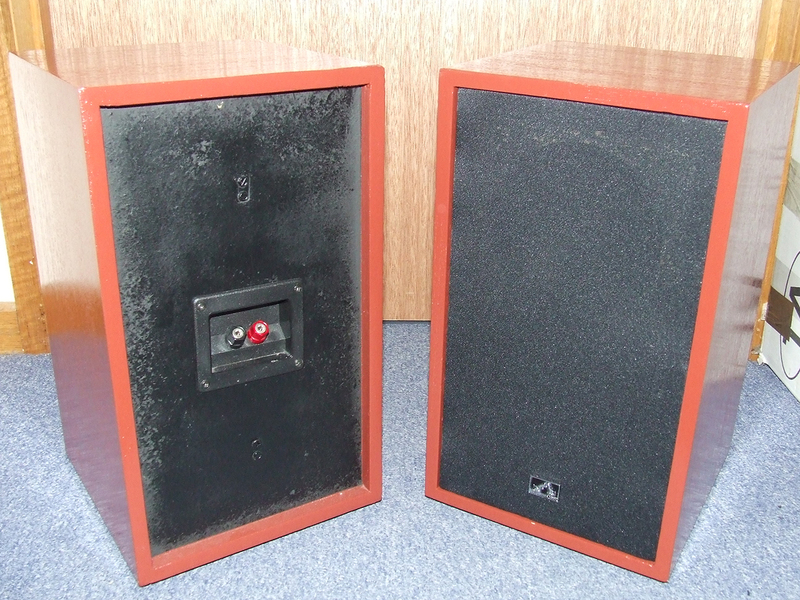 The original enclosures had chips in the plywood so I repaired them with filler, primed and repainted them in oil based gloss brown with flat black on the rear panel. 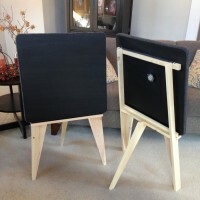 The original grille material was replaced with black cloth. 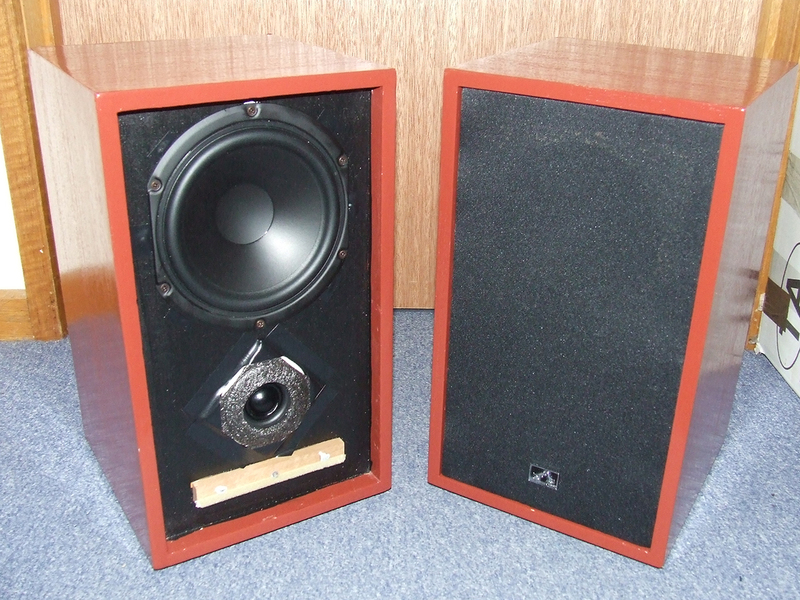 I wanted more power handling and to turn the speakers into a 2 way system so the original Magnavox full range speakers were replaced by a woofer, tweeter and pre assembled crossover. 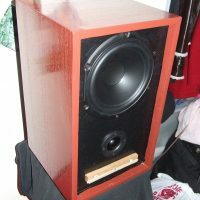 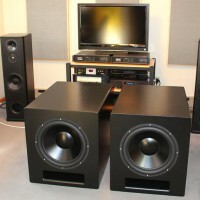 The tweeter a Dayton Audio ND25FA-4 1″ Soft Dome Neodymium Tweeter was a perfect fit over the original bass reflect port, it provided a good flat response from 2000hz up. 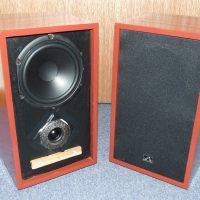 The search was on for a cost effective 6.5″ woofer of a similar sensitivity to the tweeter that would perform well in a sealed enclosure and in the end I decided upon the Peerless by Tymphany SDS-160F25PR01-08 6-1/2″ Paper Cone Woofer. 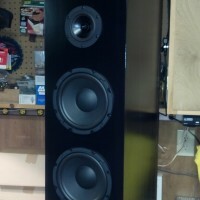 Diffraction pads were made from the tweeter mounts, this helps with stereo imaging with the grilles on. 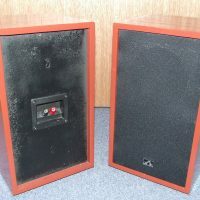 Original 1970’s HMV bookshelf speaker cabinets. 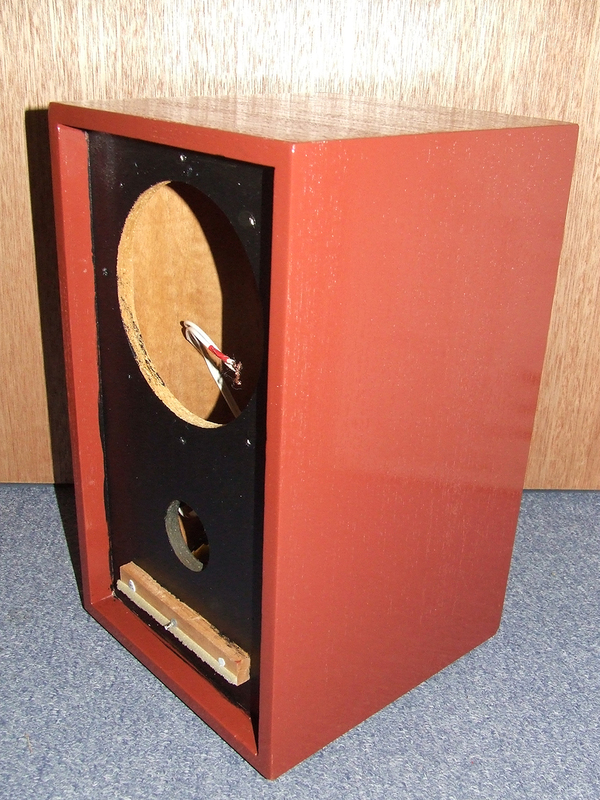 0.4 cubic foot internal volume. 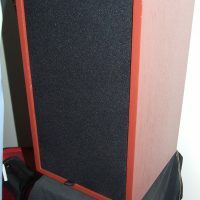 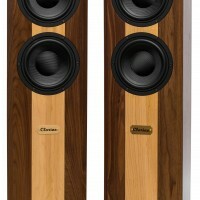 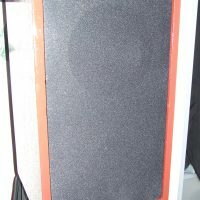 If you want to make great sounding speakers without spending a fortune. 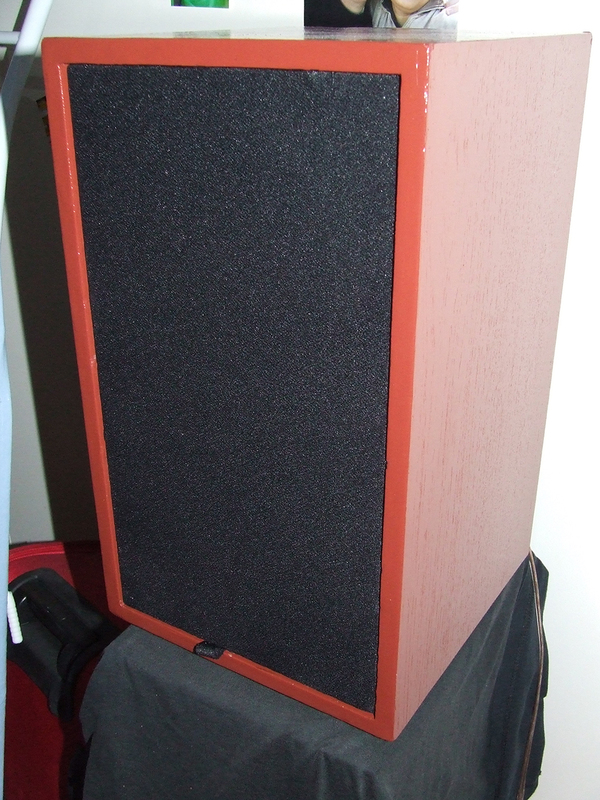 Make sure you study driver response graphs before buying speaker drivers and make sure the sensitivity of the woofer and tweeter is similar, especially when they overlap at the crossover points. 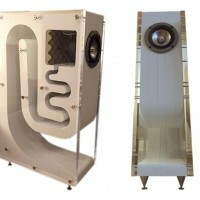 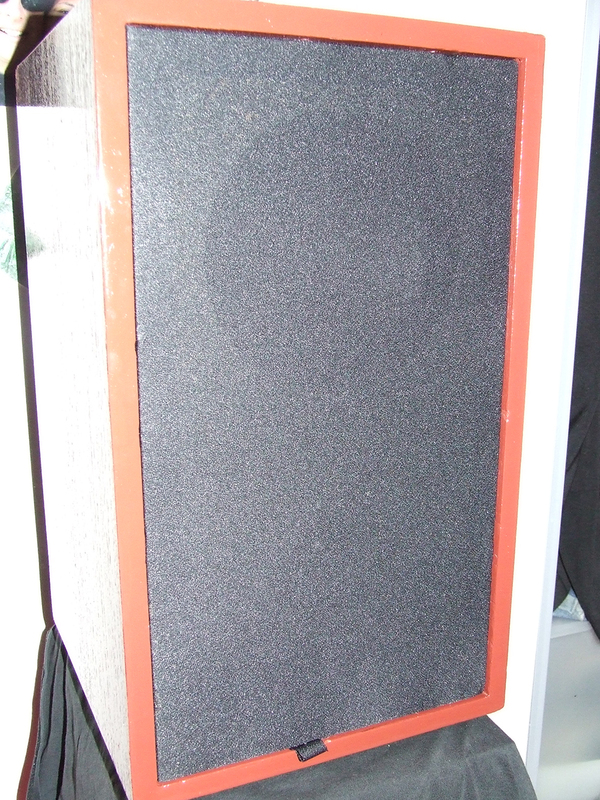 This turned out to be a great sounding speaker with good all round frequency range and excellent stereo imaging even when placed close to the walls and surprisingly the bass was fairly good but not overpowering, well controlled and well balanced for a sealed enclosure.